With the growing epidemic of obesity, contributed to by the sedentary lifestyle many Americans have adopted, advocates are encouraging a return to manual transportation. More and more students are walking or biking to school but many more are traveling by bus or car. How safe are students when they arrive and leave school each day? 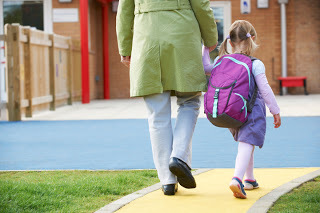 Does your school zone have traffic calming in effect to protect children? Learn more about the safety risks students face each day and the solutions you can use to protect them in our March Traffic Calmer newsletter. PreviousPrevious post:A Trailer by Any Other NameNextNext post:Be Careful, It’s Raining! When Are You Most at Risk on the Roads?